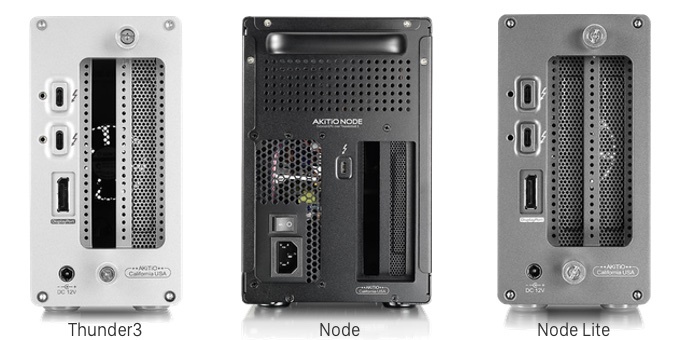 AKiTiO、NVIDIAとパートナーシップを結びThunderbolt 3対応のeGPUボックス「Node」でNVIDIA Quadroをサポートすると発表。 | AAPL Ch. 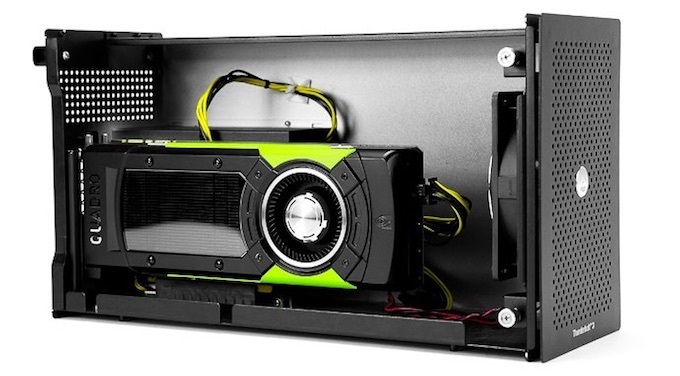 Akitio and NVIDIA are hard at work bringing Quadro support to Thunderbolt 3 eGPUs. This means that soon you’ll be able to accelerate your laptop with a workstation GPU inside a Node to power professional workflows such as rendering, CAD design, visual FX, video editing and many other professional workflows, all working in real-time through your laptop. 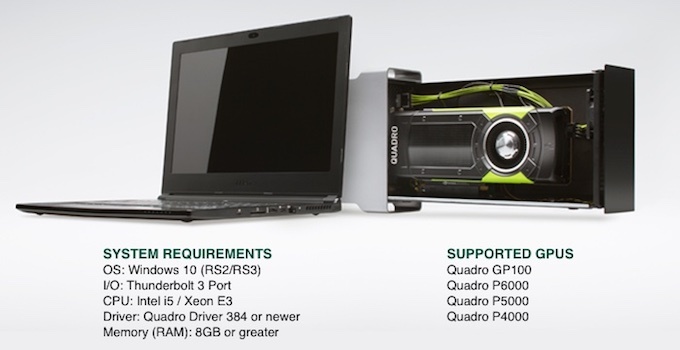 Quadro Support for eGPUs is available today with the driver R384 U1 (385.08).